The Rotary Club of San Ramon inducted ENGEO’s president, Uri Eliahu, into its “Business Hall of Fame.” He is only the fourth recipient of this award. Steve Wilcox of Summit Financial Group and member of The Rotary Club of San Ramon says that selecting Uri was a unanimous decision based on votes. Mr. Eliahu’s positive influences in business and in community outreach are often recognized in San Ramon and throughout the Bay Area. 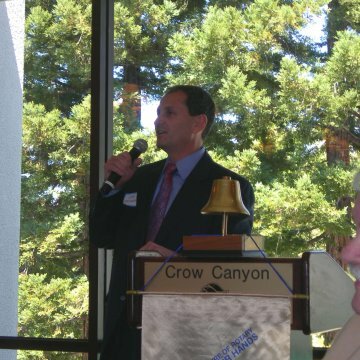 In 2007 he was honored by the San Ramon Chamber of Commerce as “Business Person of the Year,” and in 2009 was awarded “Engineer of the Year” in the Private Sector by the San Francisco Section of the American Society of Civil Engineers. Additionally, ENGEO repeatedly attains top local and national Best Place to Work status under his leadership.